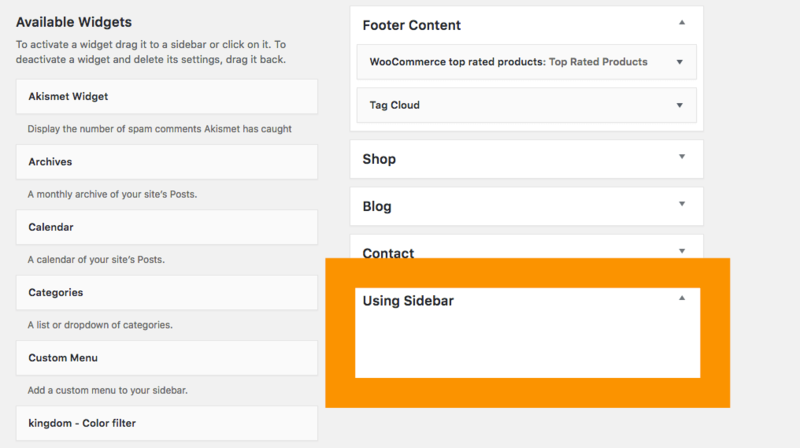 Many people don’t know how to use the sidebars managers and sidebars per sectionfeature that is included in our theme. So after reading this article, you’re ready to use this feature. 4. After it, just click on the green button and you`ll see your new sidebar like the first image. If you followed the before steps, you can drag and drop any widget that you want. 1. You need to create a new page or use an existing page, just have a page. 2. 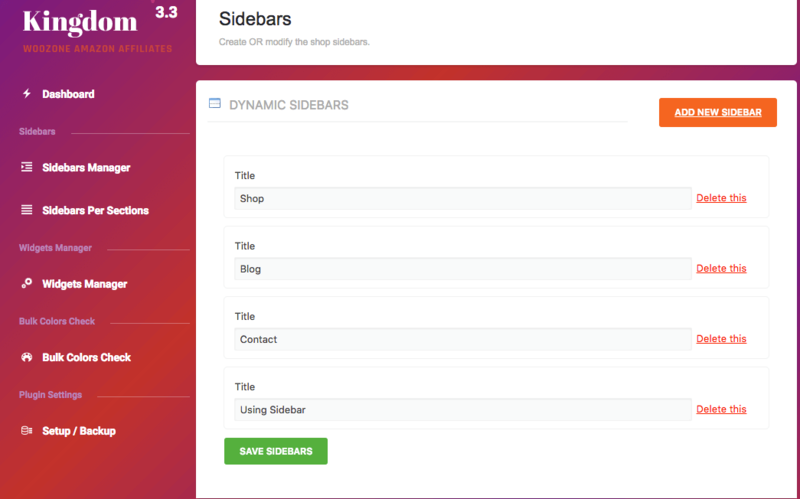 Now, go to the Dashboard > Kindom Theme Options > Sidebars per section 3. 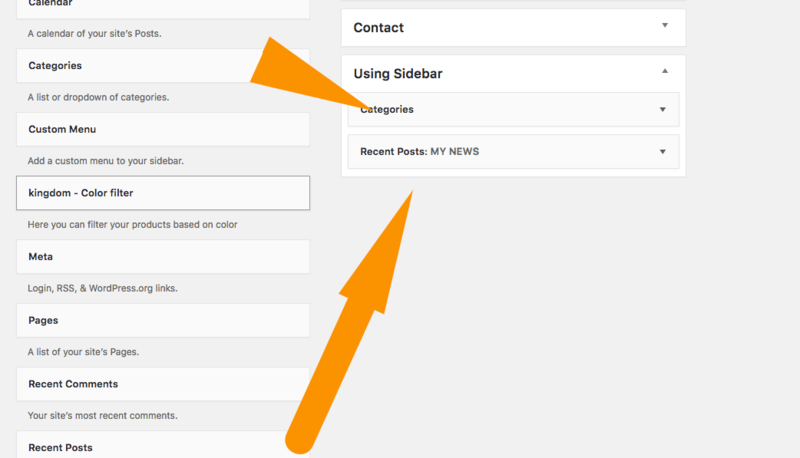 Select the sidebar that you`ve created (in my case, it`s “Using Sidebar”). 4. 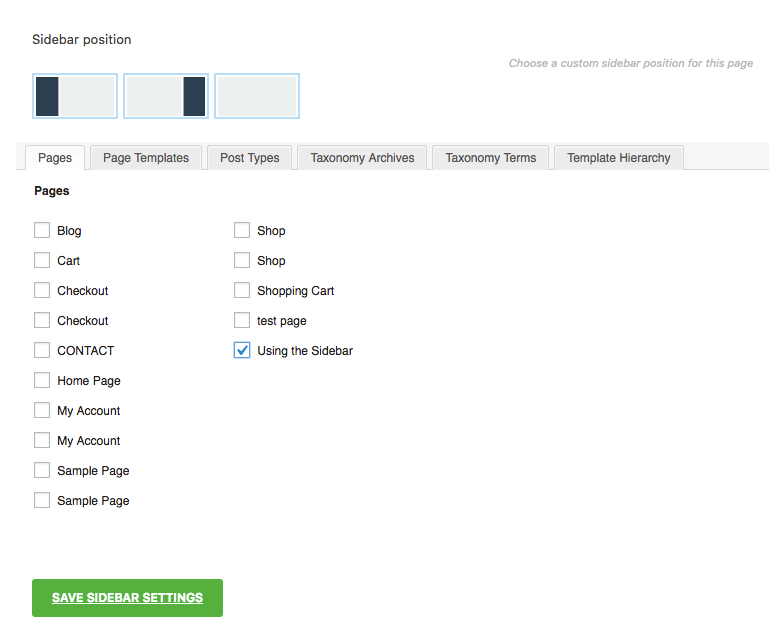 You`ll see that you can choose the sidebar position and the page that you want to show it. That`s it! Congratulations, you`ve learned how to manage our sidebar feature!